We absolutely love this rug. The colors are really pretty and work well in our living room. We have two grey couches and a blue accent chair. This rug complements all of those colors really well. It is a thin rug but it is absolutely fine for us. Also, this rug changes colors depending from side you look at it. From one side it will show all of it's pretty colors and if you look from a different angle then it looks way lighter and has almost white colors. kathy ireland Malta Ivory Blue Area Rug by Nourison - 5'3" x 7'7"
kathy ireland Malta Beige Blue Area Rug by Nourison - 5'3" x 7'7"
Flawlessly fabricated from specially created super silky and simple-to-care-for fibers and then beautifully washed to create the look and feel of a time-honored antique, these magnificent rugs will stir the senses and spark the imagination. I just received this rug on 12/15/17. I really love ❤️ this area rug. It's soft on top and the colors are beautiful. When you look at this rug horizontally you see more ivory than blue. But when you look at it vertically you see the blue beautifully and ivory and shades of taupe/beige. I couldn't be happier with this rug and would strongly recommend it. The pictures on this site doesn't do it justice. I'd give it 6 stars ⭐️⭐️⭐️⭐️⭐️⭐️ if I could. I hope this helps! Happy 😊 Shopping! 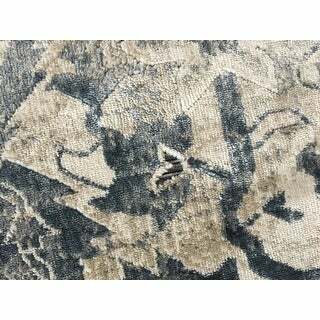 Beautiful quality rug. The colors and sizing are true to the photos. It arrived in a timely manner. Would highly recommend. Looks great in our new house. This is a really pretty rug. The colors are soft and muted and it looked really good in my room BUT I am returning it. There are spots on it where there are no fibers attached to the backing. See pictures. Also, the width is 3” less than the description so it is narrower than I wanted. I contacted Overstock and they thought it may be defective so sent me a free return slip and refunded my money. It’s a pain to package it back up but that’s part of the process. Also, check out the picture of the care instructions. It says to professionally dry clean only. I wish those labels were pictured on each rug’s description. I’m very happy with Overstock’s customer service. 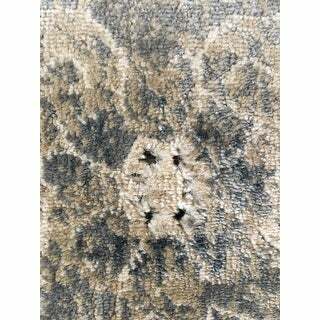 This rug is polypropylene which generally does not shed, but there is always the chance for minimal shedding. "Is it supposed to have bald spots?" They are not so much as bald spots as it is a distressed look.We will update these images to reflect a more accurate image. "What does the back of this rug look like? Soft or rough?" The back of this rug is made of jute so it is tougher rather than softer. 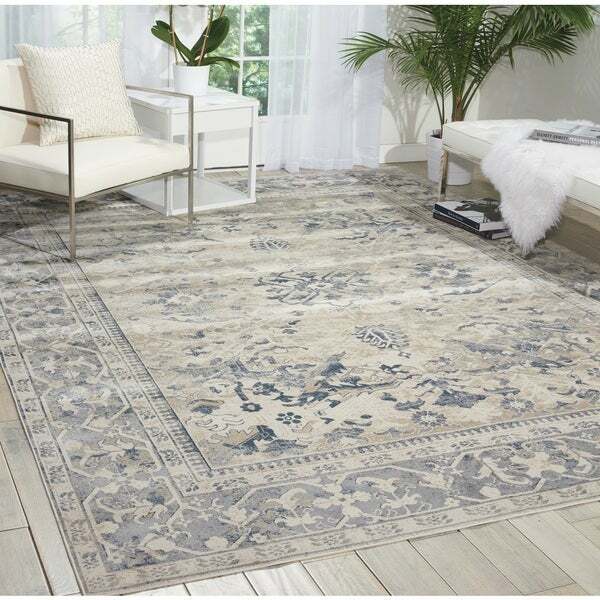 kathy ireland Malta Navy Area Rug by Nourison - 7'10" x 10'10"
Kathy Ireland Malta Vintage Traditional Ivory/Blue Rug by Nourison - 5'3" x 7'7"
kathy ireland Malta Beige Blue Area Rug by Nourison - 7'10" x 10'10"
kathy ireland Malta Cloud Area Rug by Nourison - 7'10" x 10'10"